Summary : Design and development of a small company website. 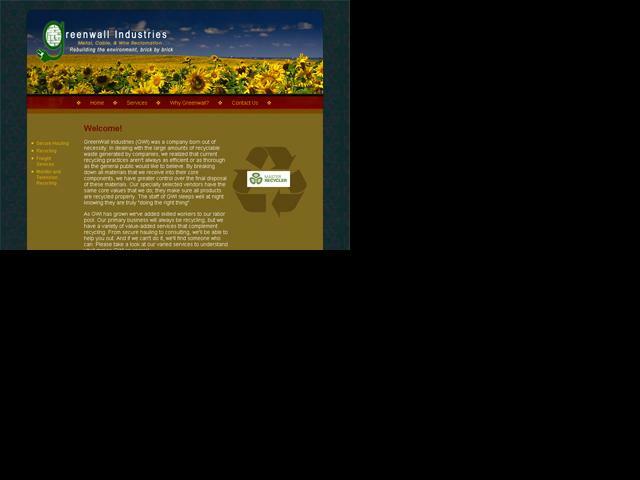 Greenwall Industries is a recycling and reclamation company that offers higher levels of efficiency, thoroughness, and environmental friendliness. Michael Wall came to us for help in creating an online presence because he wanted to work with someone who is experienced and knows what they're doing. He needed someone he could trust. And he needed someone who could deliver results when his company was new and budgets were tight.